With regards to keys to a commercial property, it can result in the loss of money and work hours and with regards to keys to one’s automobile or home, there are those occasions when it can even result in a situation where one’s life can be put in danger. FC specializes in the cutting of replacement keys for the full range of locks whether residential, commercial or automotive. 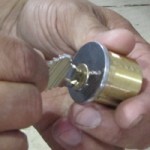 We maintain a massive collection of key blanks for all of the most common locks in use today. It doesn’t matter whether you require a replacement key for a file cabinet, for a high security commercial lock or for the latest model of luxury automobile, contact FC Locksmith, Canada’s first choice in replacement key services. FC Locksmith can provide clients with replacement keys for the full range of residential and commercial locks used today. Our locksmiths will not only cut replacement keys for simple cylinder and mortice locks but are fully capable of cutting keys for the most advanced locking systems found on the market. 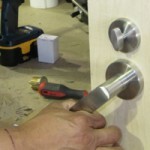 Our technicians undergo regular training to ensure that they are familiar with all of the developing locking technologies and utilize all of the most advanced equipment and techniques required to handle even the most involved projects. Of all of the key types that locksmiths will replace, those of automobiles can prove amongst the most difficult. All new cars on the market utilize transponder key technology. Transponder keys require advanced equipment and software in order to be programmed. Our locksmiths have the equipment, software and knowledge to provide replacement keys for just about every car found on the road today. The FC Locksmith call center is prepared to field calls at all hours of the day and night, each and every day of the year. Our customer support team will have one of our certified locksmiths dispatched to you in no time. Our locksmiths will arrive to your location immediately in one of our fully stocked trucks with all of the equipment and key blanks required to cut your replacement keys.